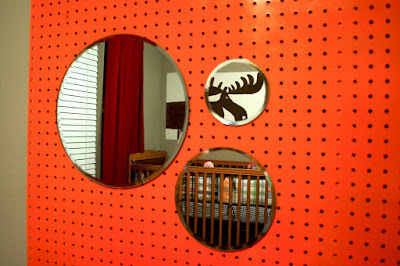 I am really excited about what I was able to accomplish this week in Jack's nursery. I can't believe this is my last week in the 2nd trimester. This pregnancy seems to be flying by. 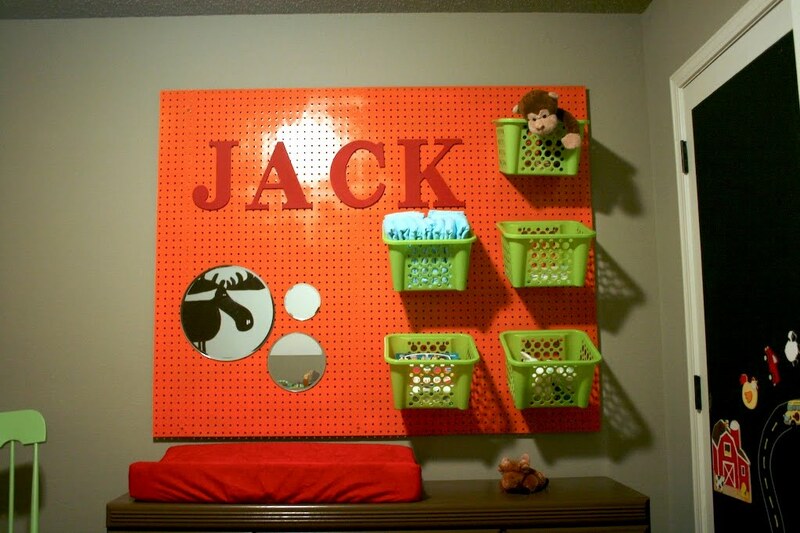 A pegboard project. First I new that I wanted his name in his room so painting letters was the easy part. 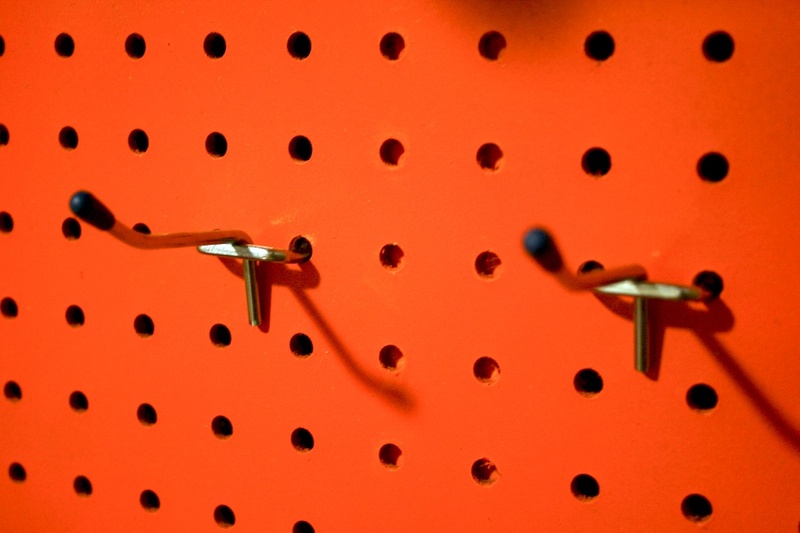 I hot glued them to the board since they are extremely light I knew they would stay put. The baskets I found at Hobby Lobby for $1.99 a piece they were already that fun lime green color so I went for it. They are up there with peg board hooks that you can buy at Walmart or Home Depot. I haven't quite decided what I'm going to fill them with yet. Although one of the bottom baskets will be diapers! The last challenge was a add a mirror. I went with Candle plates in different size circles. The problem is they are HEAVY and GLASS! So I bought some of the famous Gorilla Glue and went to town; I added a little hot glue around the edge to hold them in place until the Gorilla Glue had time to set up. Those mirrors won't ever come down now. What have you MADE this week??? Mother's Day = Picture Day!